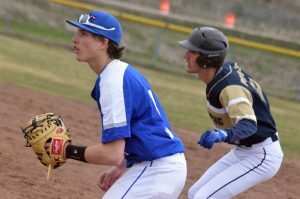 Moffat County High School's Connor Etzler gets the offense going. 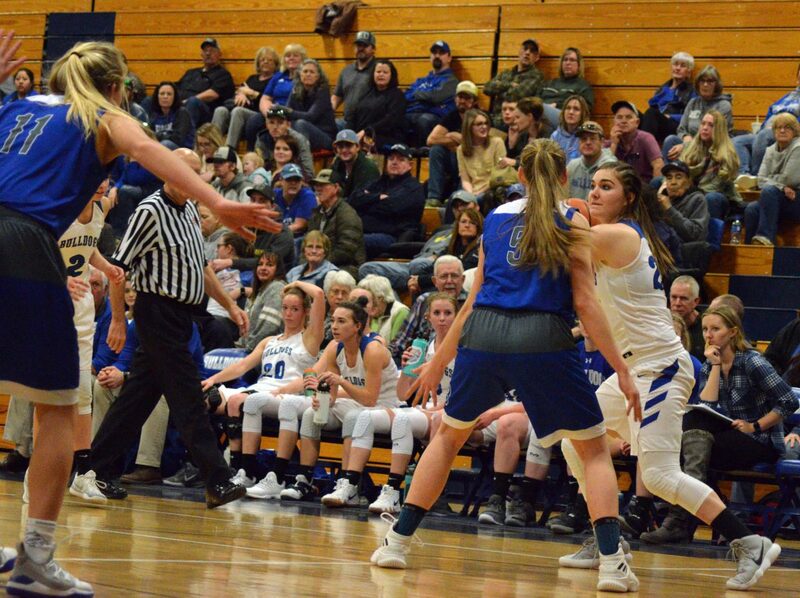 Moffat County High School's Tiffany Hildebrandt gains a steal while Quinn Pinnt looks to grab the ball. 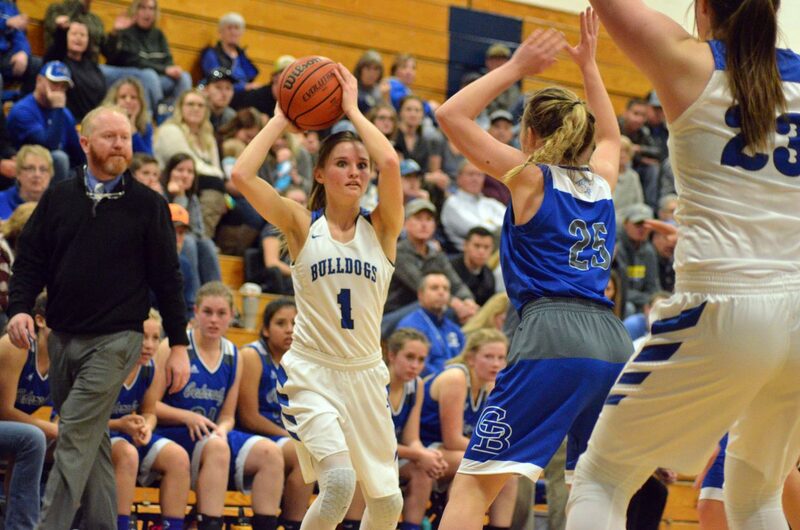 Moffat County High School's Jaidyn Steele stays in close proximity to Cedaredge opponents. 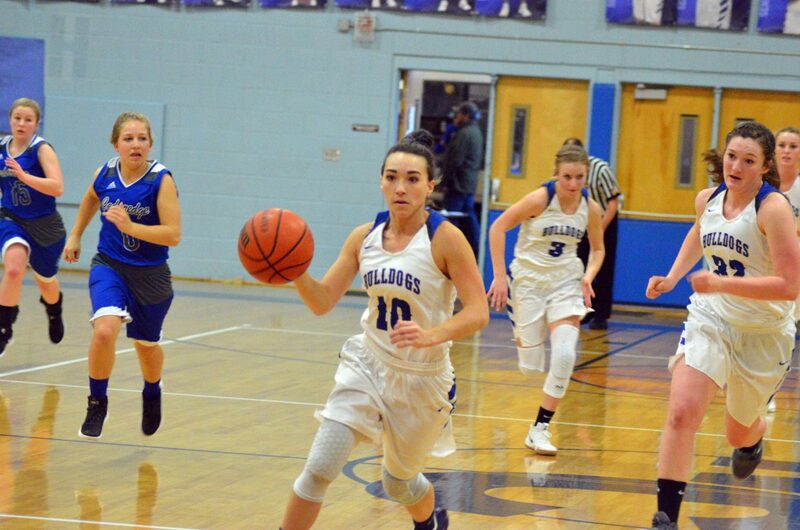 Moffat County High School's Reese Weber drives toward the basket during girls JV basketball. 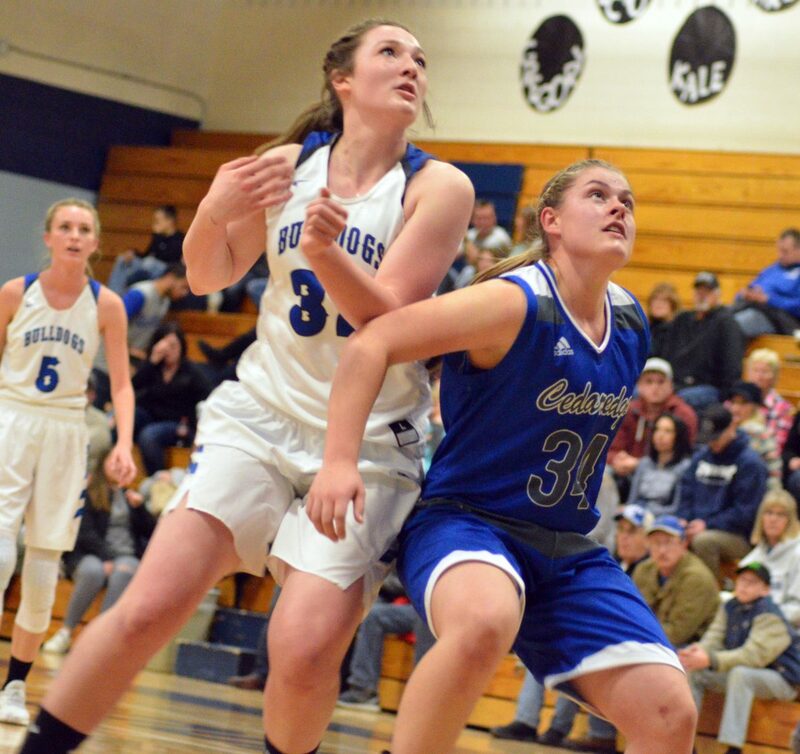 Moffat County High School's Tiffany Hildebrandt goes shoulder to shoulder under the rim with Cedaredge. 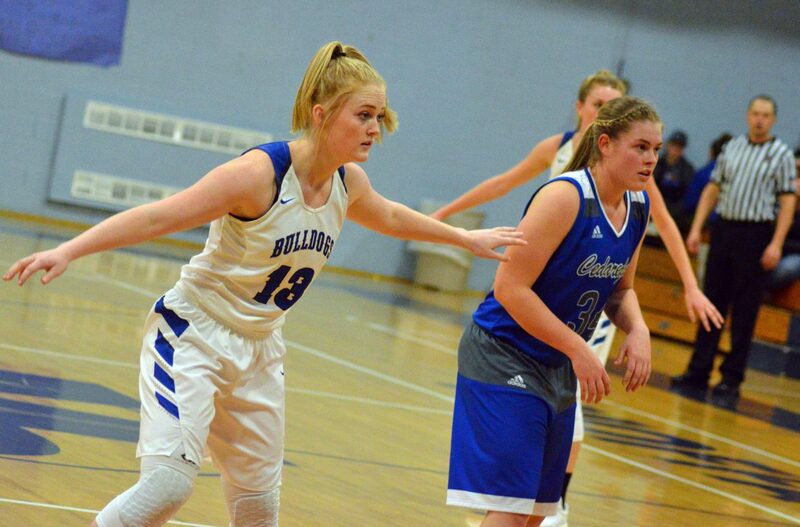 Moffat County High School's Kinlie Brennise keeps Cedaredge defenders at arm's length. 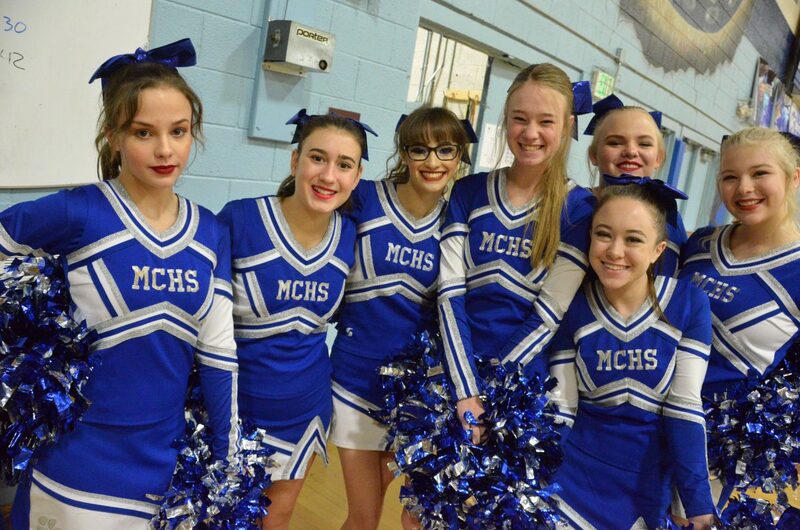 Moffat County High School varsity basketball players exchange congrats with opponents after a win over Cedaredge. 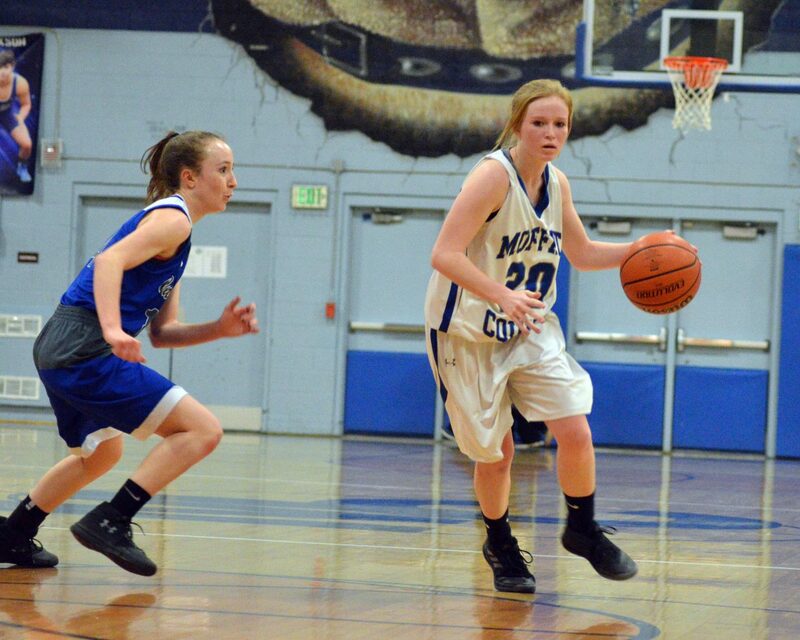 Moffat County High School's Jacie Evenson sticks close to the edge of the court during girls JV basketball. 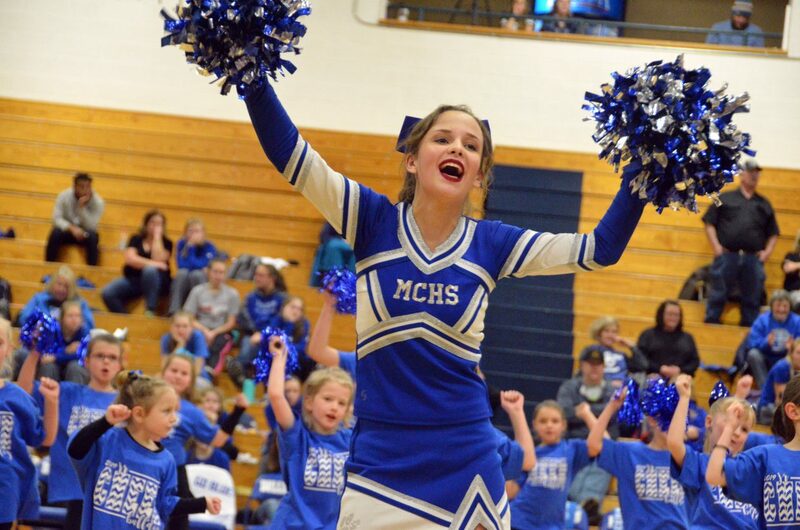 Members of the Moffat County High School Junior Cheer Clinic show their energy during a halftime show. 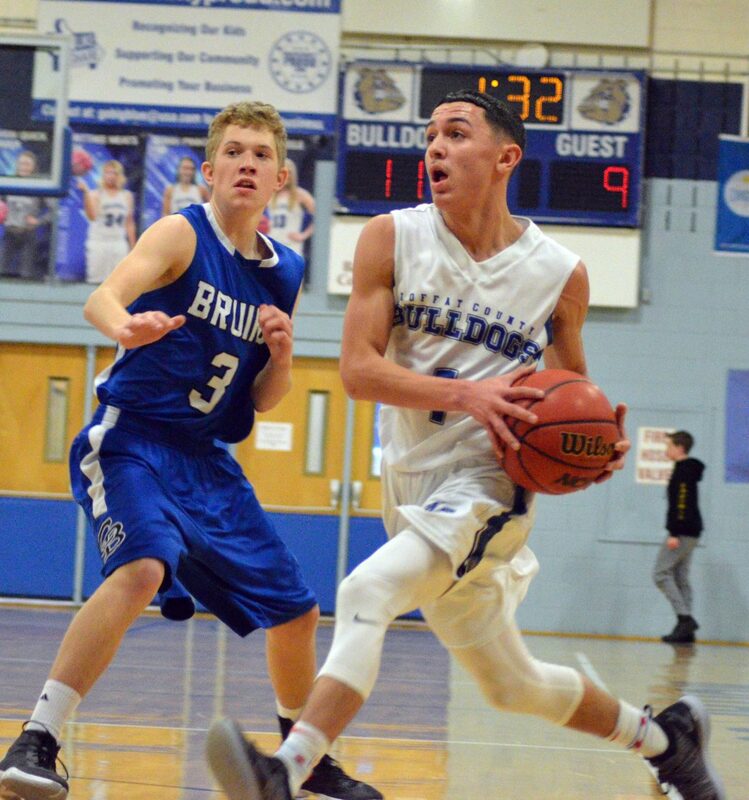 Moffat County High School's Jerod Chacon stays between Cedaredge and the basket. 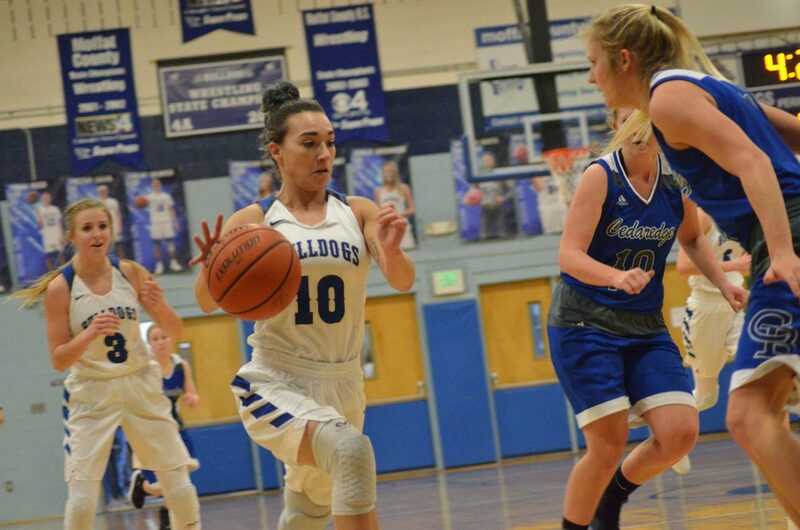 Moffat County High School's Amber Salazar dashes in for a layup during girls JV basketball. 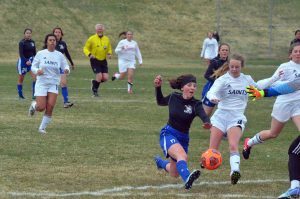 Moffat County High School's Stephenie Swindler speeds after a loose ball. 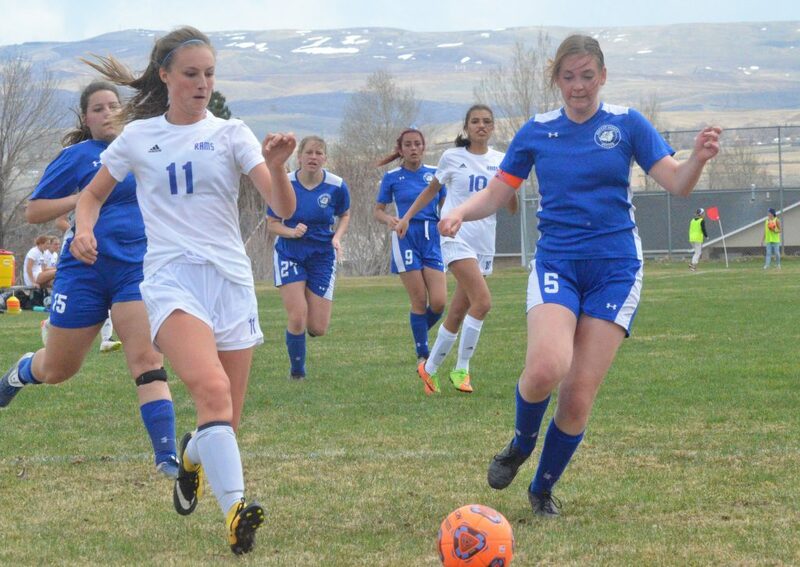 Moffat County High School's Halle Hamilton fights for the rock. Moffat County High School's girls JV basketball tips off heading into overtime. 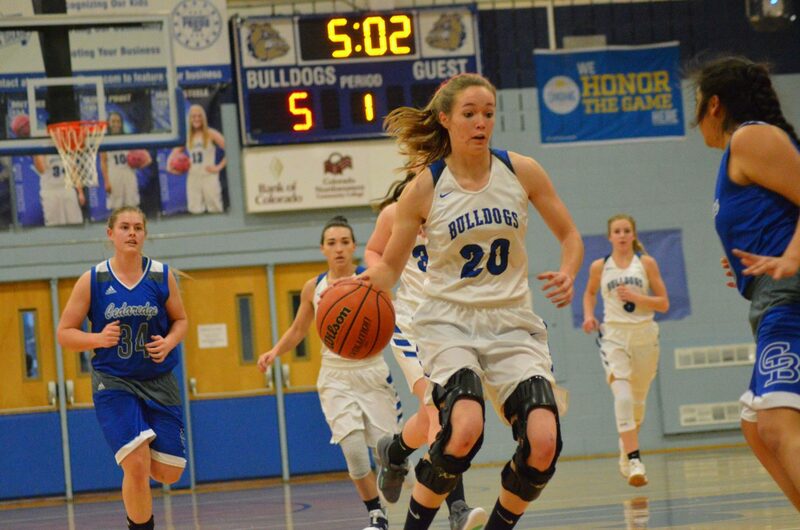 Moffat County High School's Madie Weber looks to add to the Lady Bulldog lead. 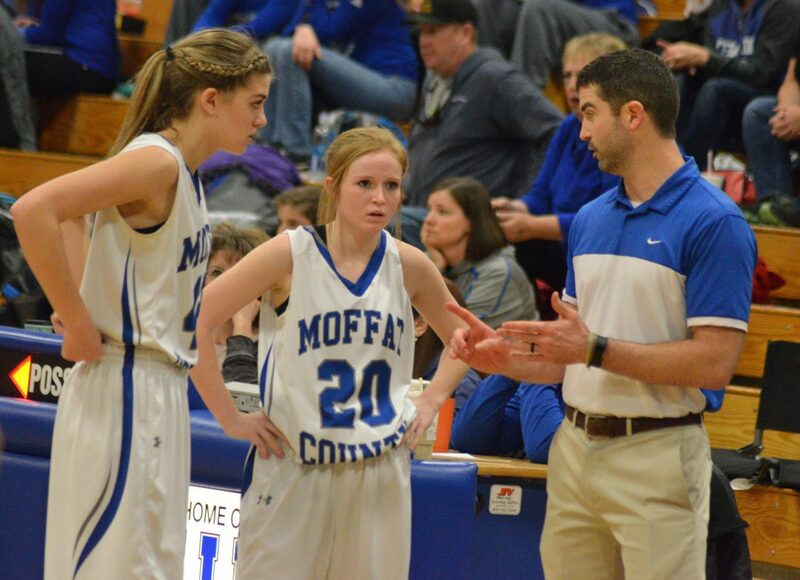 Moffat County High School's Rylie Felten, left and Reese Weber consult with girls JV basketball coach Joe Padon. 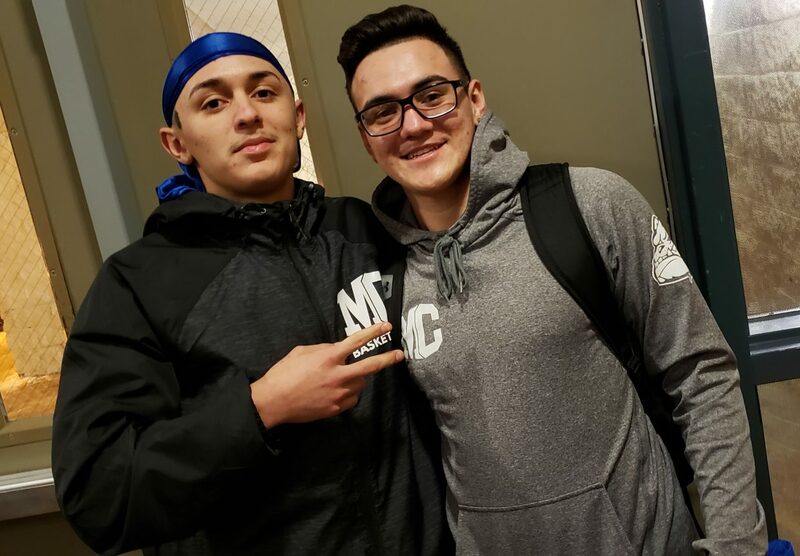 Moffat County High School's Dario Alexander, left, and Victor Silva celebrate a varsity win against Cedaredge. 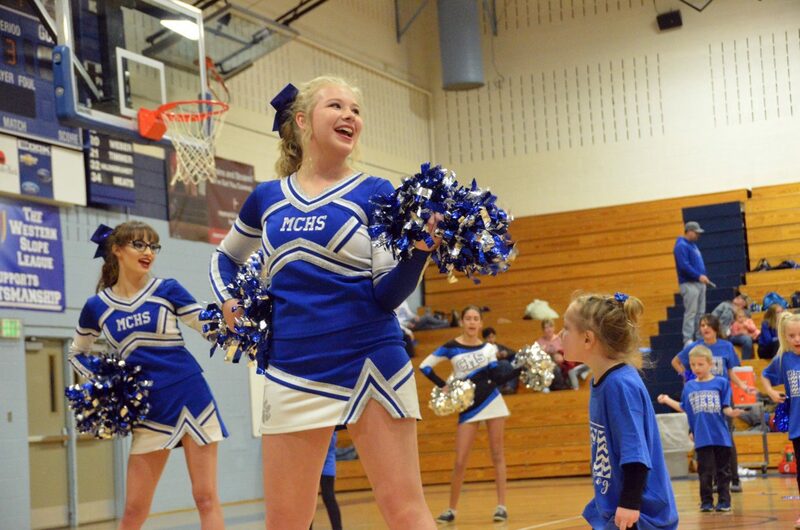 Members of the Moffat County High School Junior Cheer Clinic are led by MCHS cheerleaders. 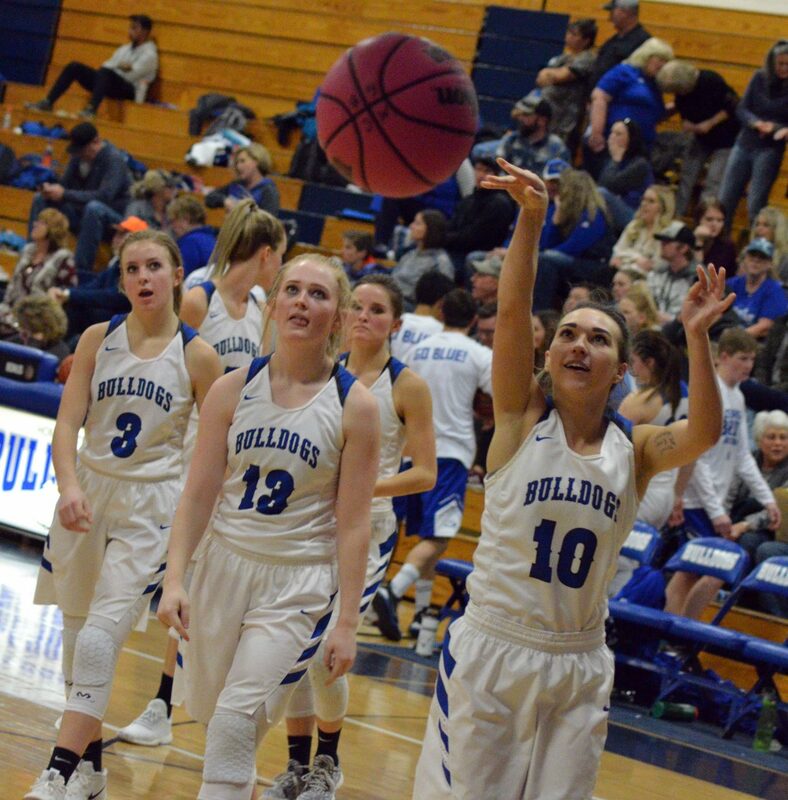 Moffat County High School's Amber Salazar, Makayla Martinez and Reese Weber prep for an inbound pass during girls JV basketball. 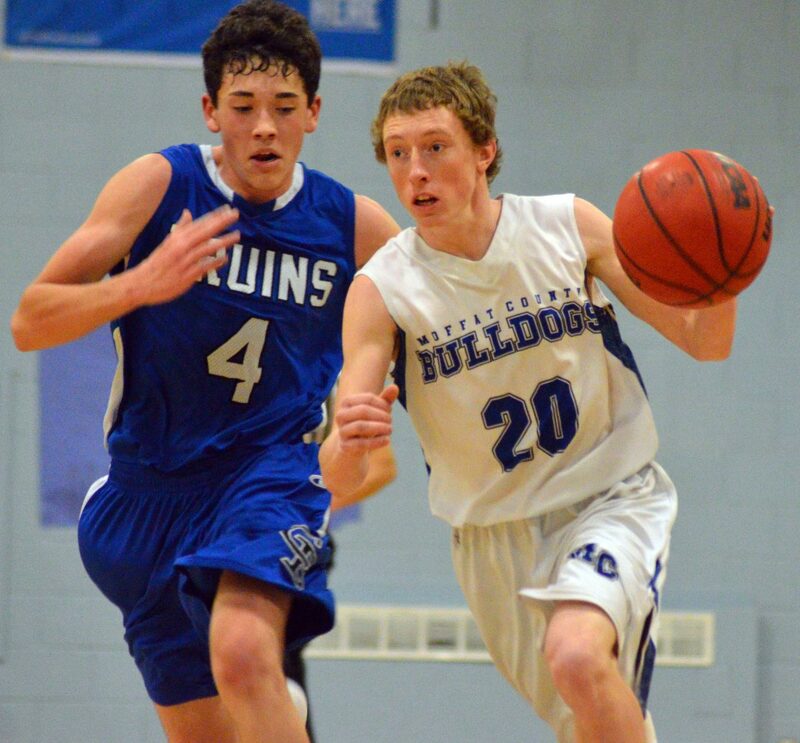 Moffat County High School's Connor Murphy pushes toward a layup. 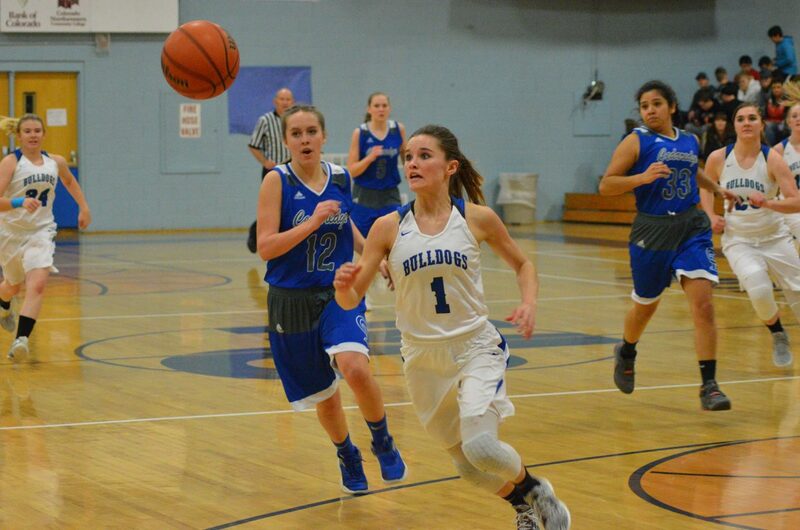 Moffat County High School's Emaleigh Papierski sprints to the hoop against Cedaredge. 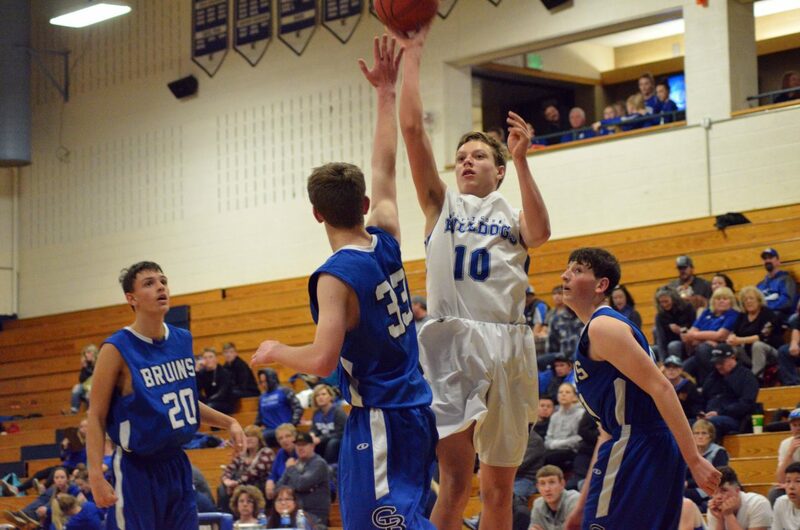 Moffat County High School's Myles Simpson tips off for boys JV basketball. 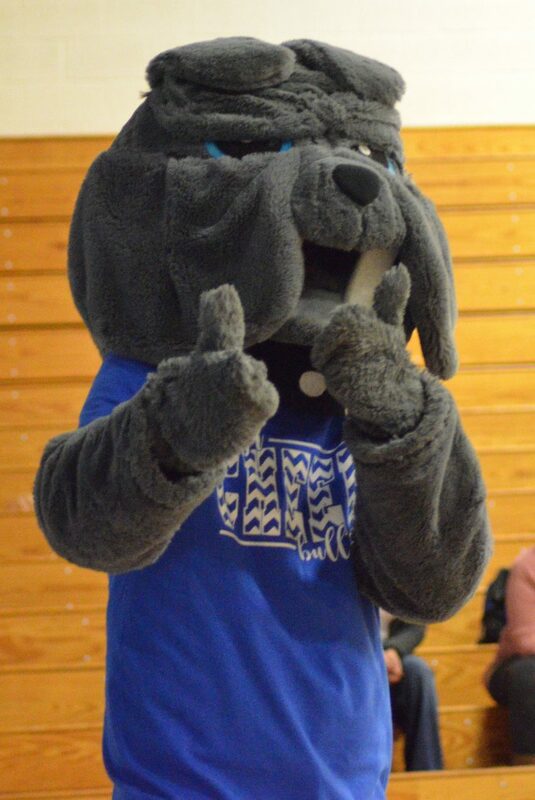 The Moffat County High School Bulldog provides a thumb's-up. 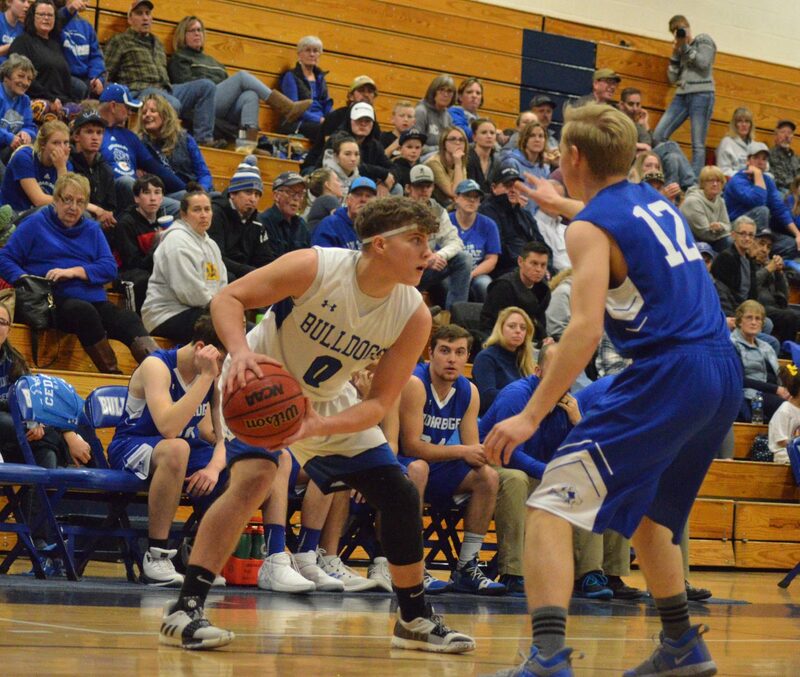 Moffat County High School's Cale Scranton, left and Colby Beaver provide a half-court press. 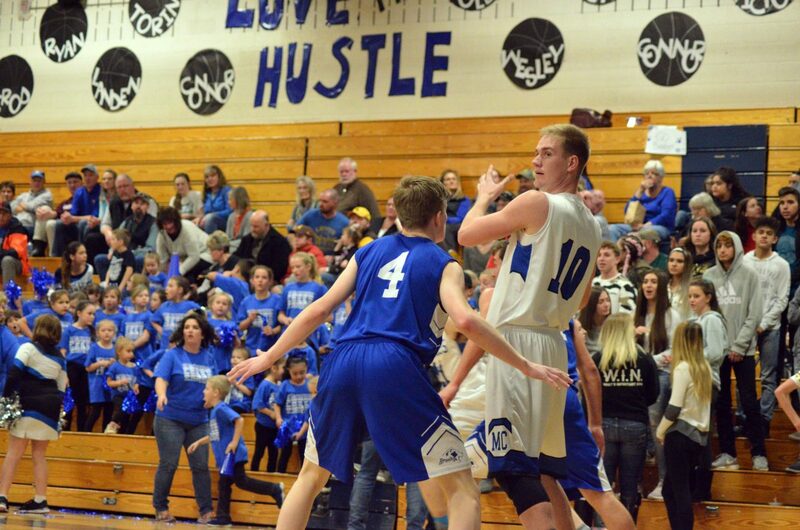 Moffat County High School's Jordan Carlson puts up a jump shot against Cedaredge. 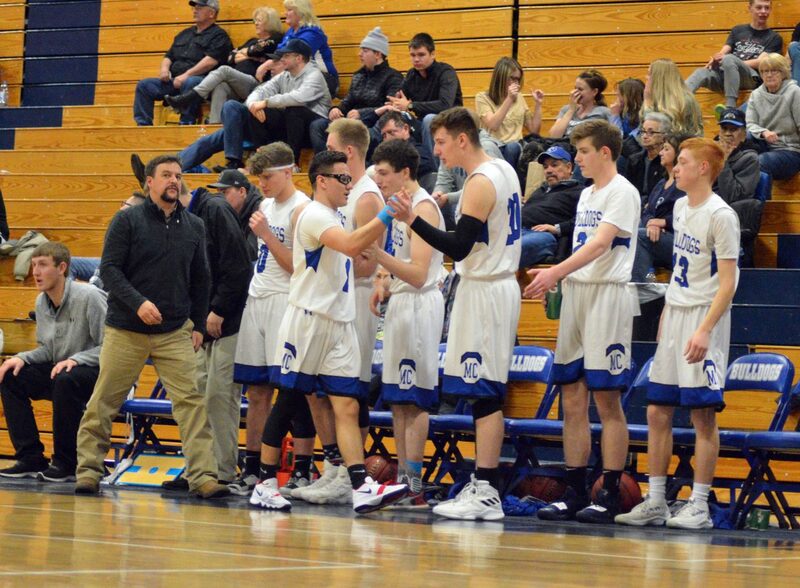 Moffat County High School's Victor Silva exchanges high-fives with teammates as he comes off the court. 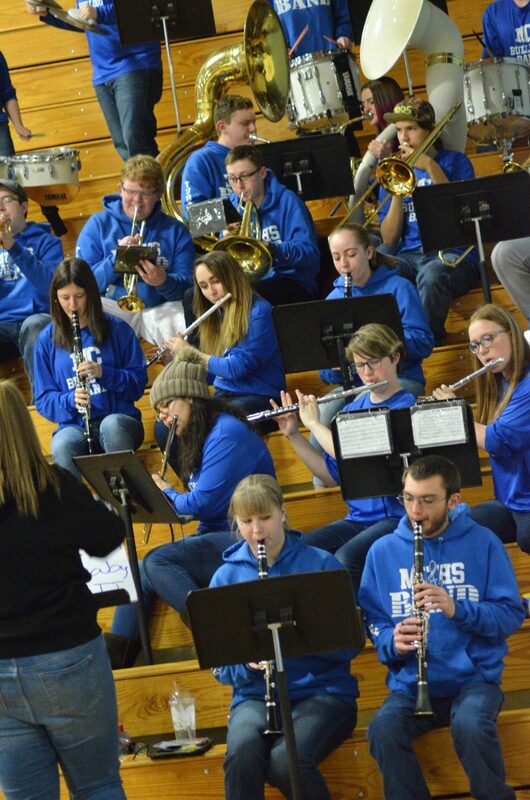 The Moffat County High School band performs during Saturday's basketball games. 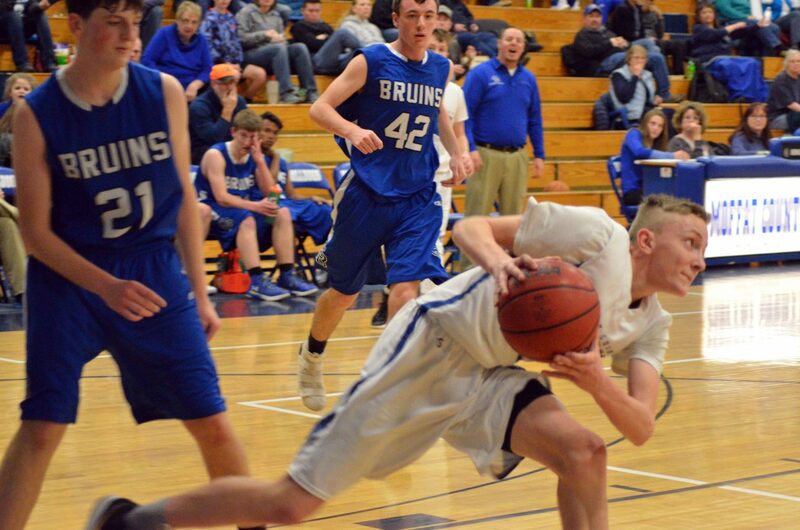 Moffat County High School's Colby Beaver maneuvers despite tight defense. Moffat County High School's Kinlie Brennise puts up her first shot of the day. 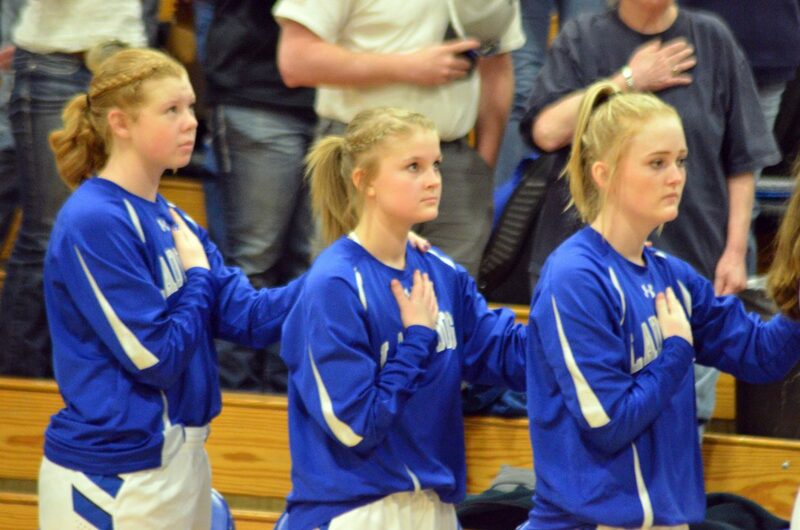 From left, Moffat County High School's Bree Meats, Jacie Evenson and Jaidyn Steele line up for the national anthem before the girls varsity basketball game. 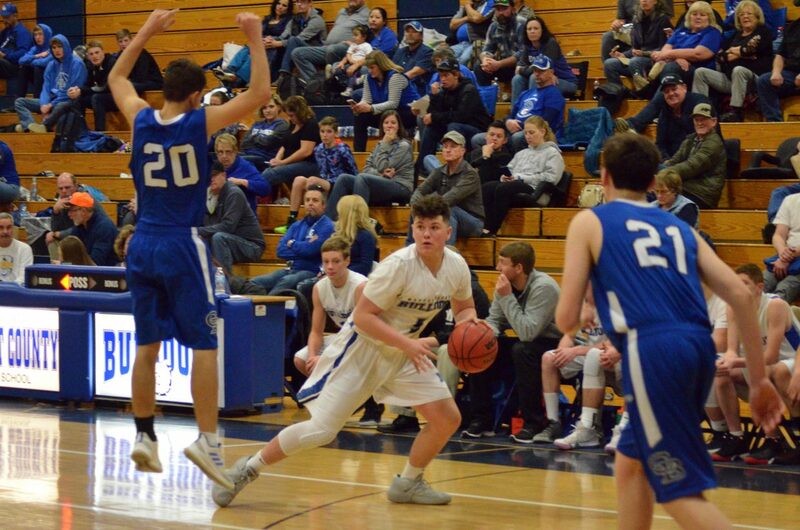 Moffat County High School's Jerod Chacon backs off from the basket only once the ball hits net. 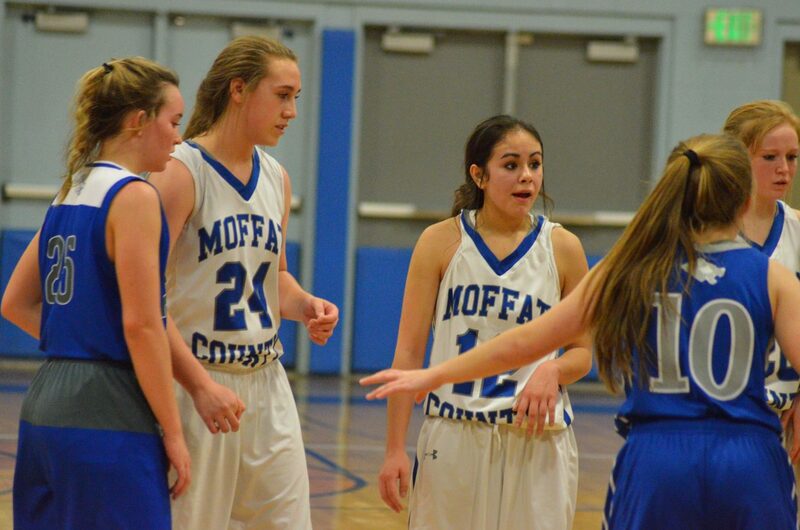 Moffat County High School's Brittnee Meats and Jenna Timmer get ready to roll again on offense. 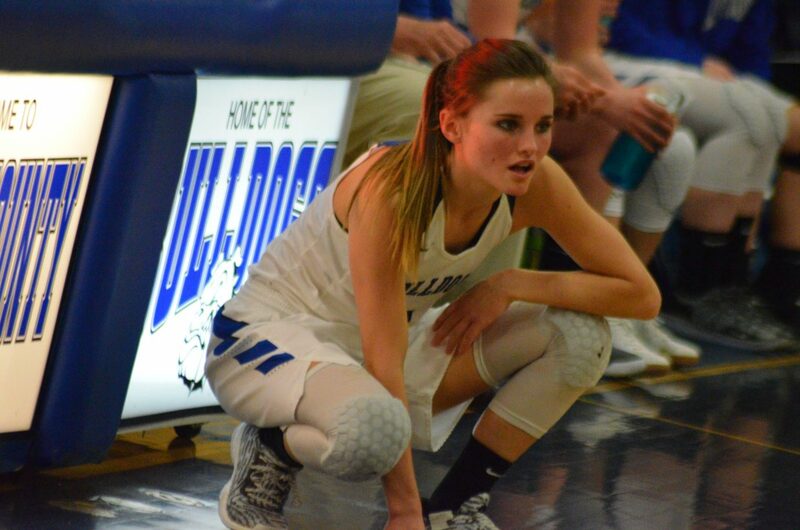 Moffat County High School's Stephenie Swindler readies to sub into the game. Moffat County High School's Quinn Pinnt puts up another jumper as girls basketball warms up for the second half. 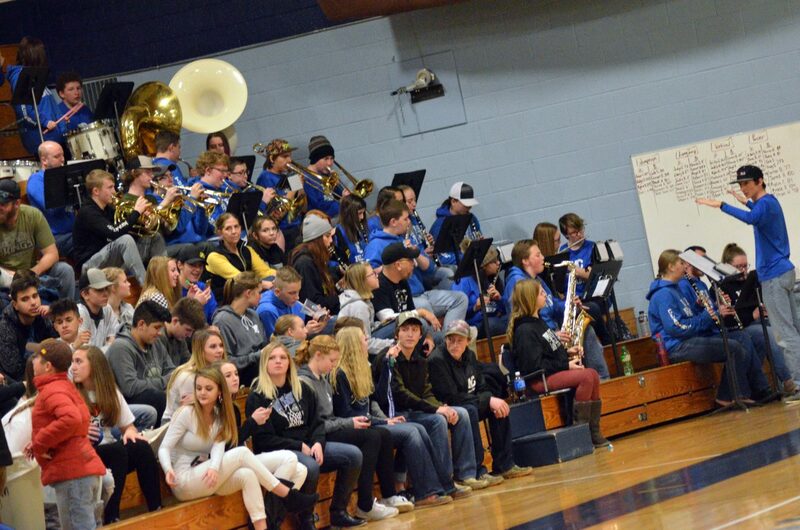 The Moffat County High School lobby signage supports Bulldog basketball teams. 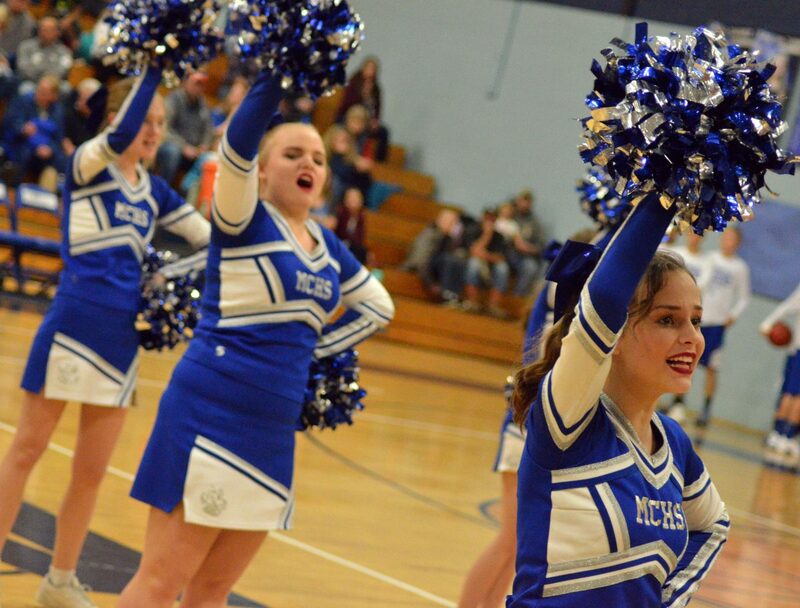 The Moffat County High School spirit squad pumps up the crowd during halftime. 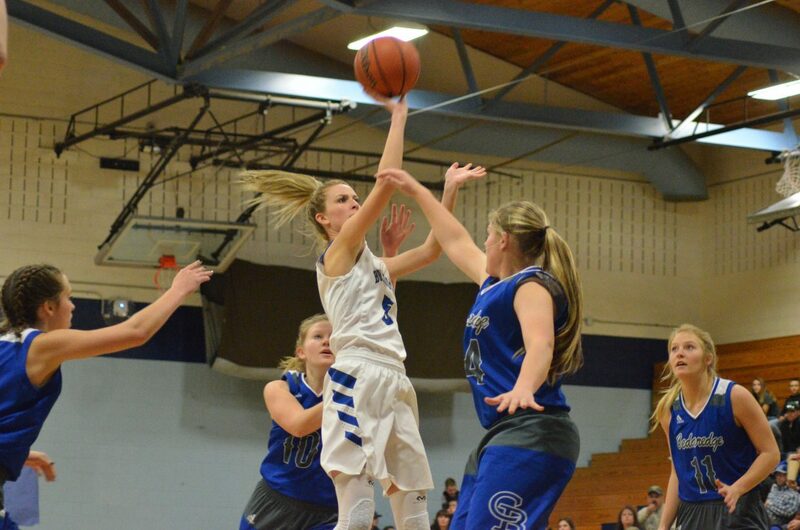 Moffat County High School's Quinn Pinnt weaves her way inside. 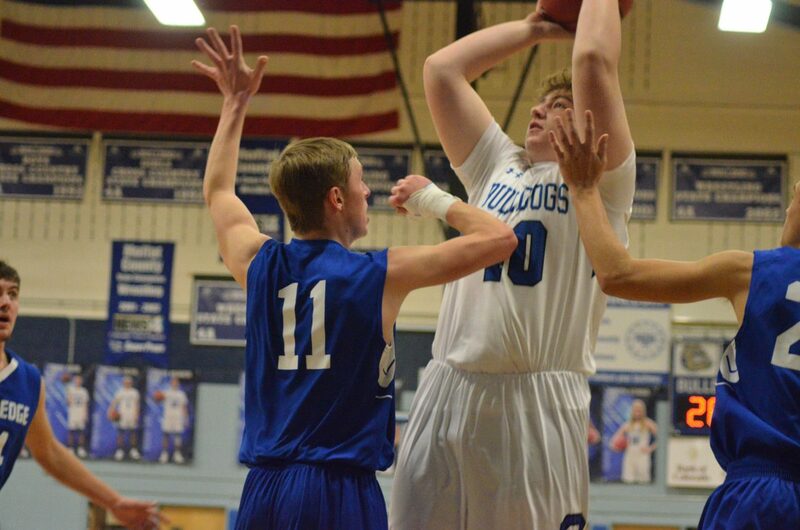 Moffat County High School's Brendan Beaver fights for a rebound. 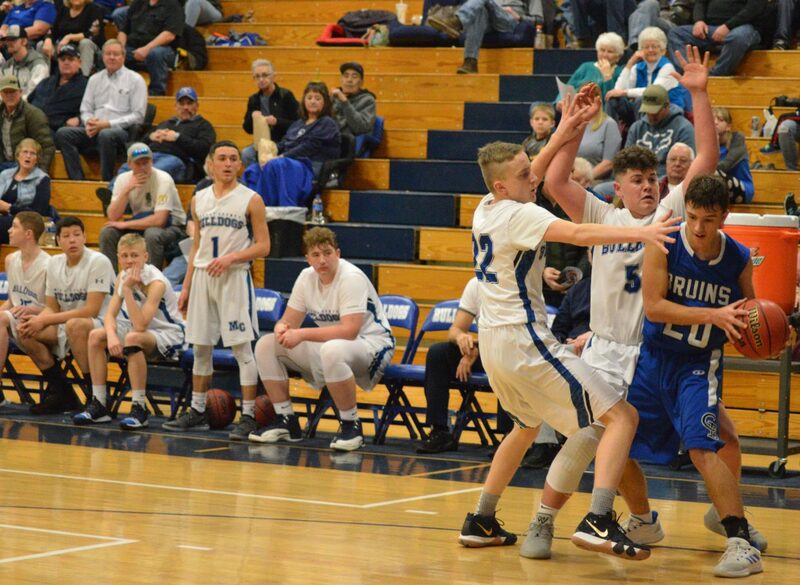 Moffat County High School's Cale Scranton seeks to pass near the Cedaredge bench. 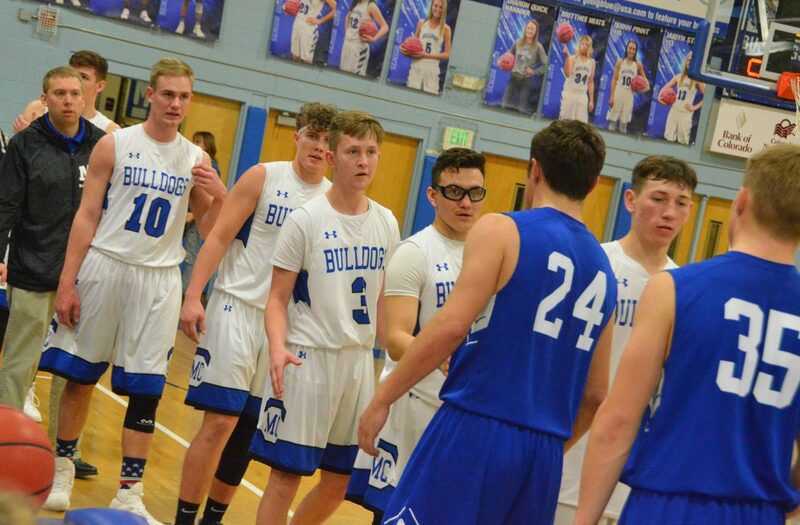 Moffat County High School's Connor Murphy directs teammates. 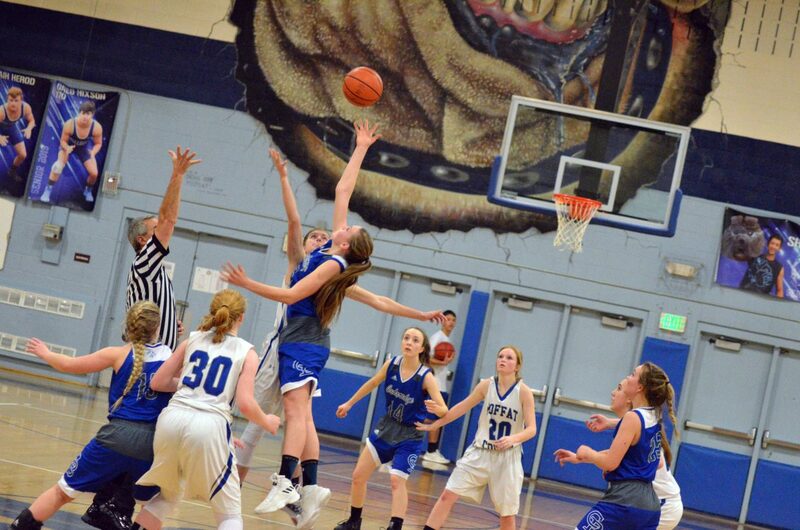 Moffat County High School's Jenna Timmer looks to get out of a tight squeeze. 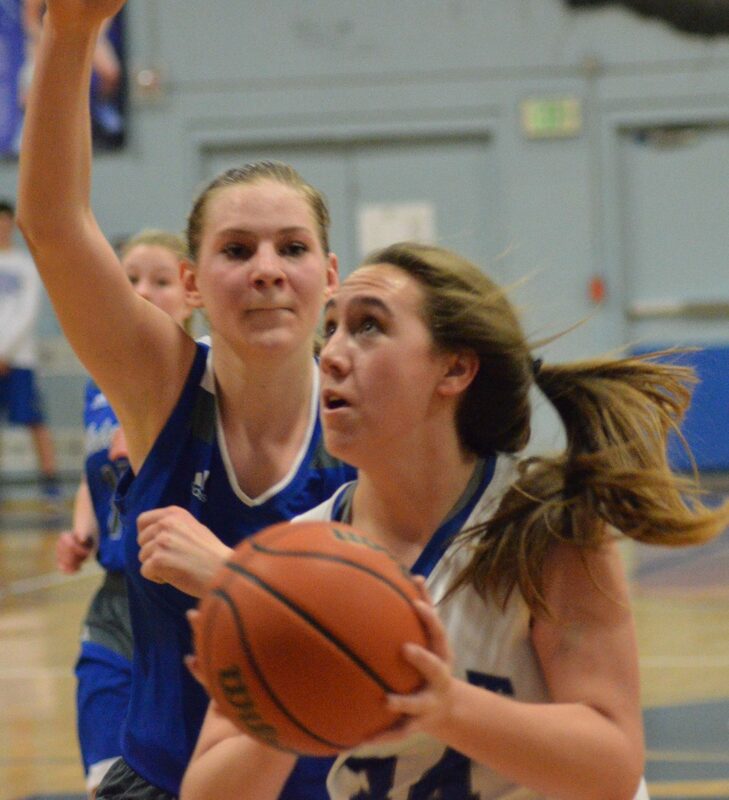 Moffat County High School's Emaleigh Papierski sticks close to the baseline. 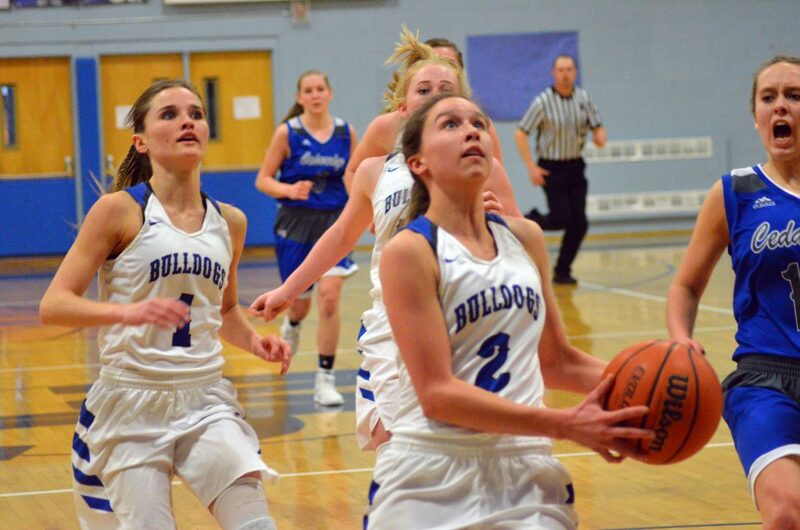 Moffat County High School's Stephenie Swindler locks eyes and looks to pass to teammate Jenna Timmer. 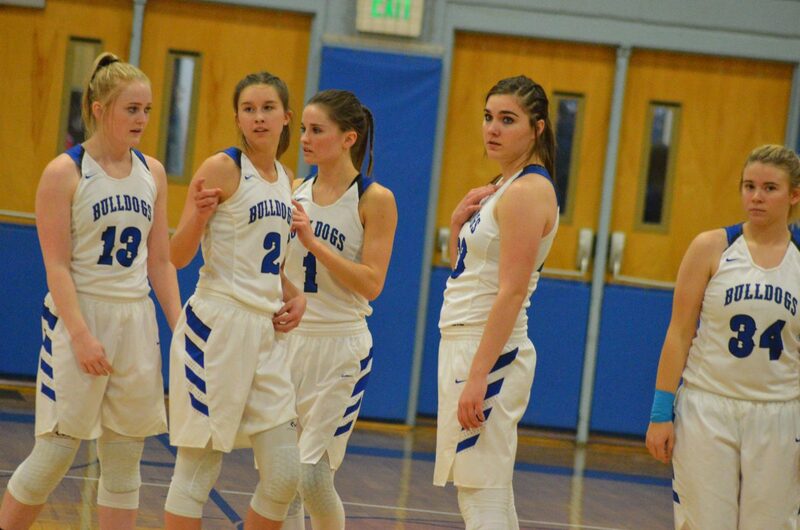 From left, Moffat County High School's Jaidyn Steele, Emaleigh Papierski, Stephenie Swindler, Jenna Timmer and Brittnee Meats head back onto the court after a timeout. 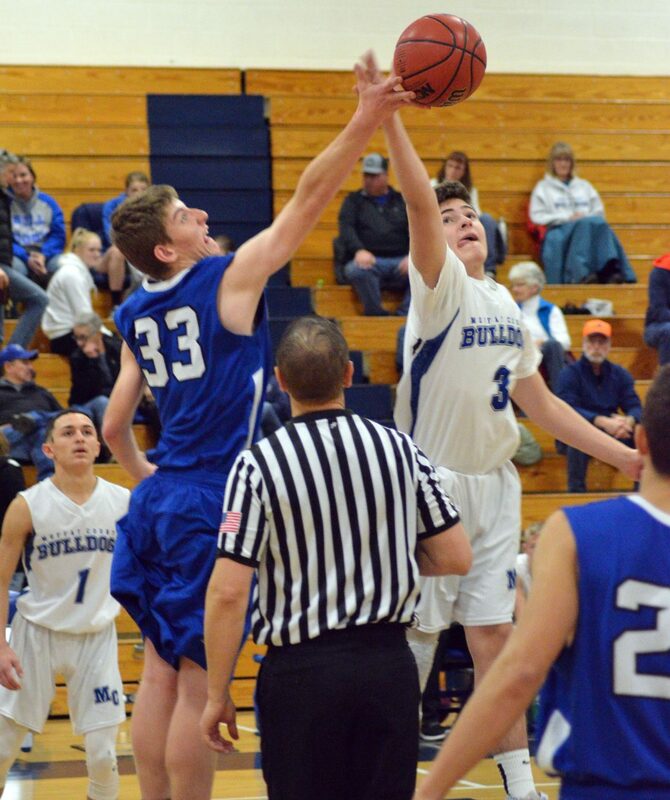 Moffat County High School's Landen Najera looses an early jumper. From left, Moffat County High School's Kinlie Brennise, Quinn Pinnt and Tiffany Hildebrandt to start a play. 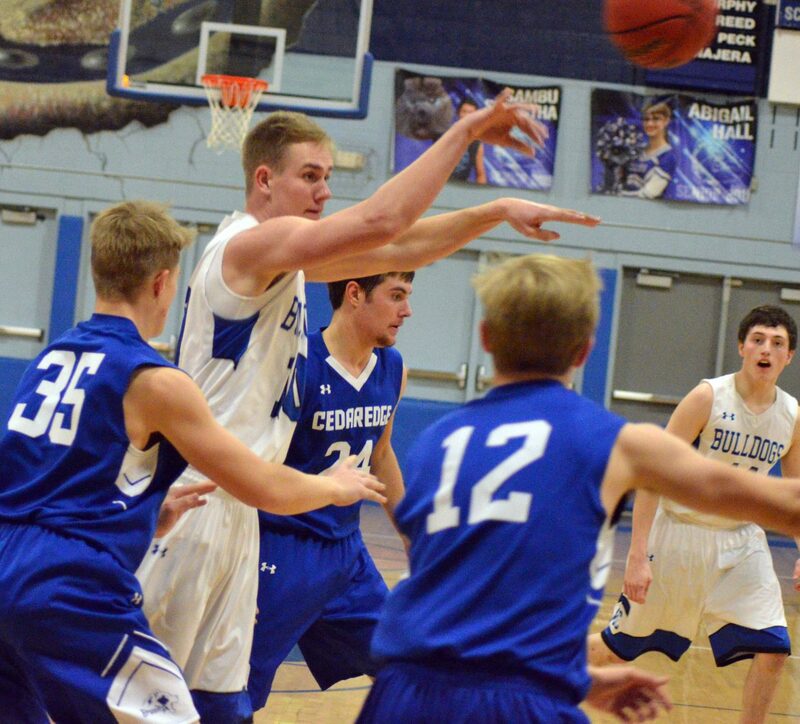 Moffat County High School's Connor Etzler finger-rolls the ball toward the rim. 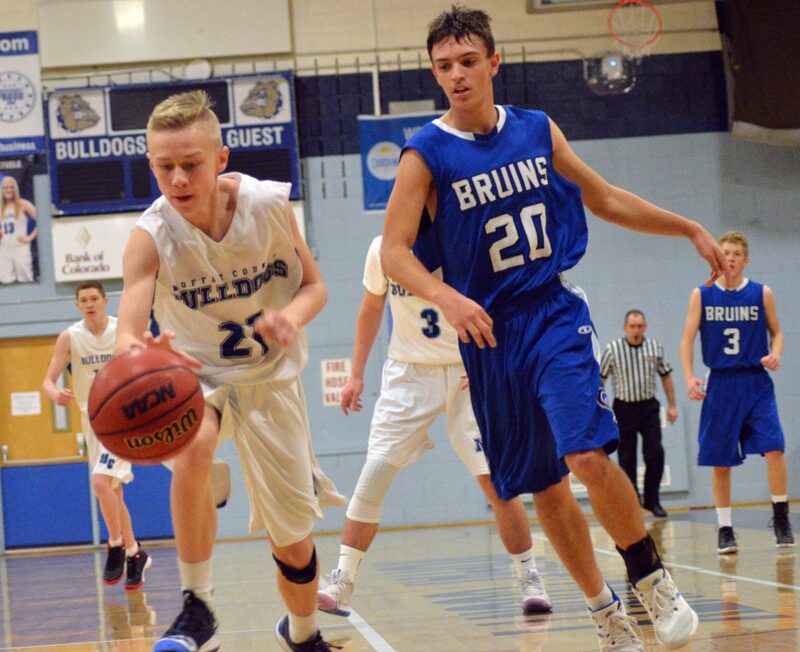 Moffat County High School's Colby Beaver dishes out a pass. 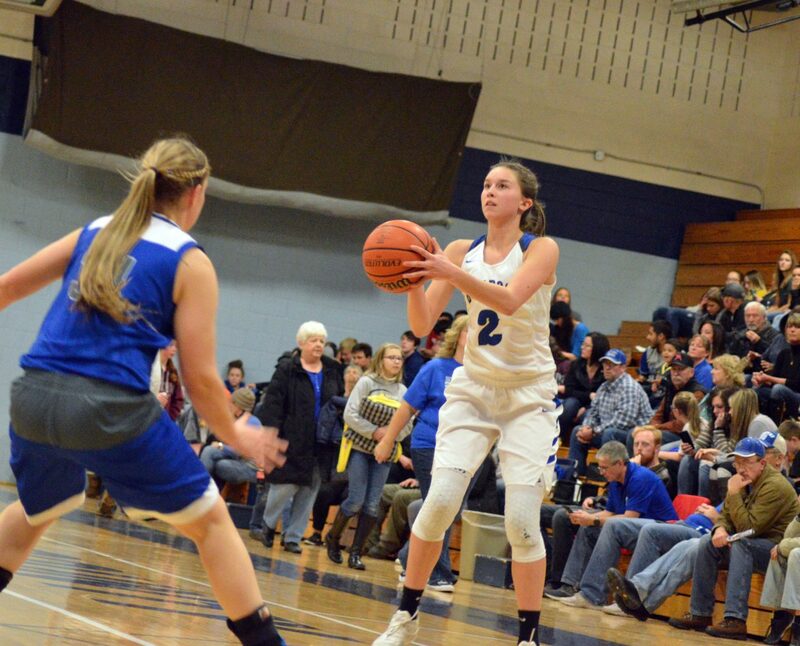 Moffat County High School's Emaleigh Papierski lines up a three-pointer. 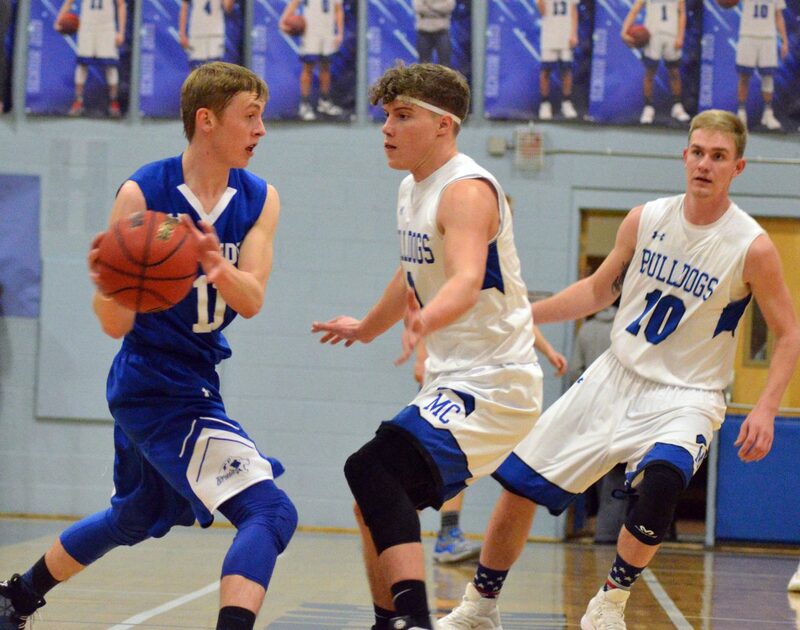 Moffat County High School's Quinn Pinnt looks to make the most of a turnover. 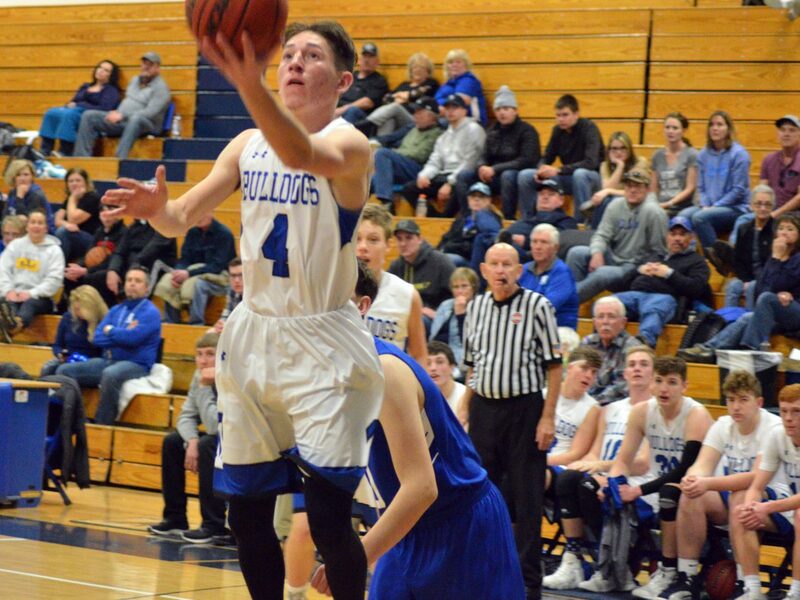 Moffat County High School's Torin Reed eyes a route to the hoop. 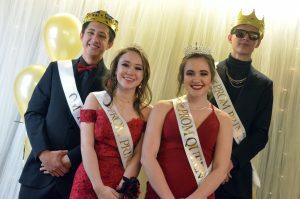 It may have been the visiting school that boasted the ursine team name, but it was Moffat County High School athletes who were giving their latest opponents a bear of a time Saturday. 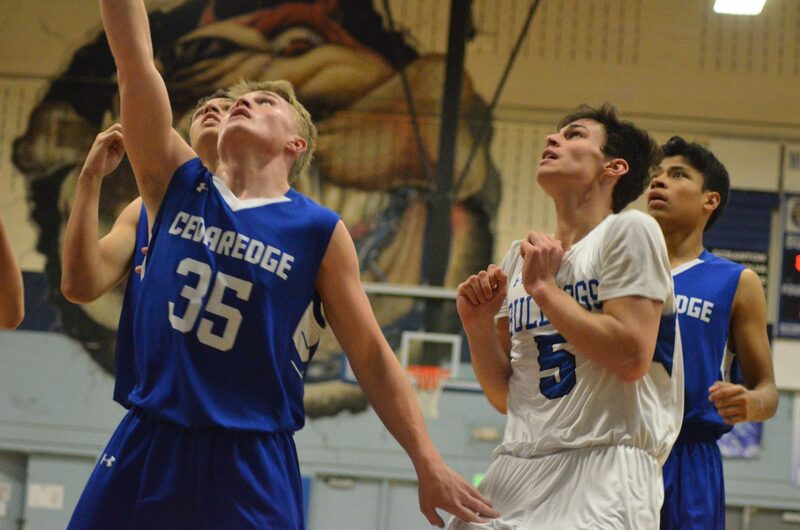 MCHS varsity teams swept the Cedaredge Bruins in a pair of big wins, as girls picked up their fourth consecutive victory against a 3A Western Slope League foe at 52-33 while boys put an end to their run of bad luck with a hard-fought 57-32 triumph. After a narrow victory the night before, MCHS girls had another team within the Top 10 of the 3A RPI rankings on their hands. 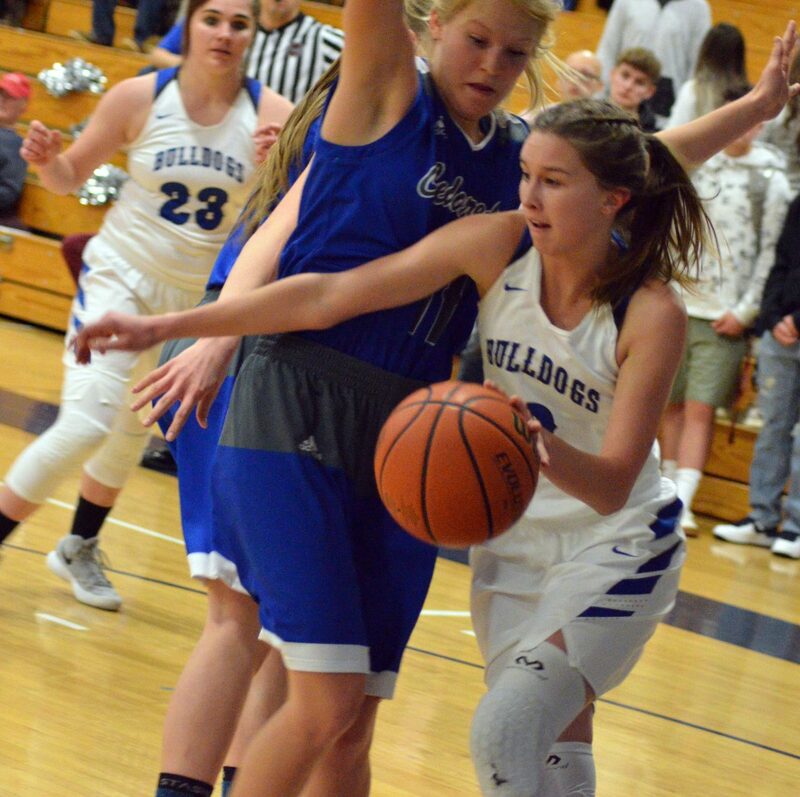 Perhaps it was the extra boost from the win over Grand Valley, but Lady Bulldogs wasted no time racking up a 7-0 lead, with the Bruins prevented from gaining a bucket until nearly five minutes into the game. MoCo’s quick start only get better, finishing the quarter 13-5, heading into an all but unstoppable second period in which they compiled 15 straight points, five of which came off a Kinlie Brennise corner triple that, thanks to a Cedaredge foul, put her back at the charity stripe for a pair of free throws. 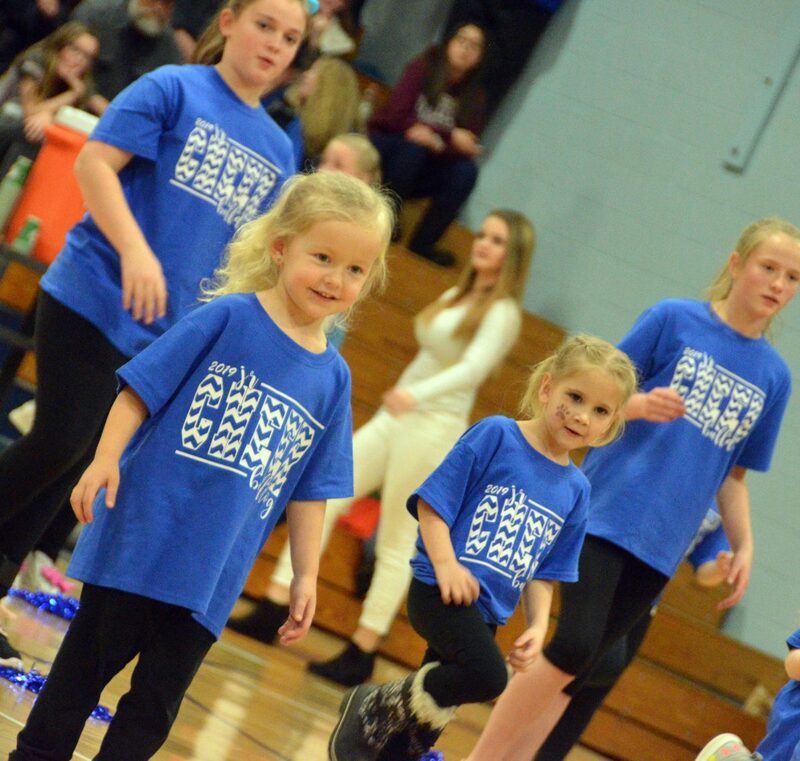 MCHS girls coach Jim Loughran said he was surprised by Cedaredge’s slow entry, though he was far from shocked that his players made the most of it. 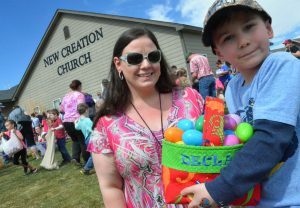 “They really put a lot of pressure on them,” he said. 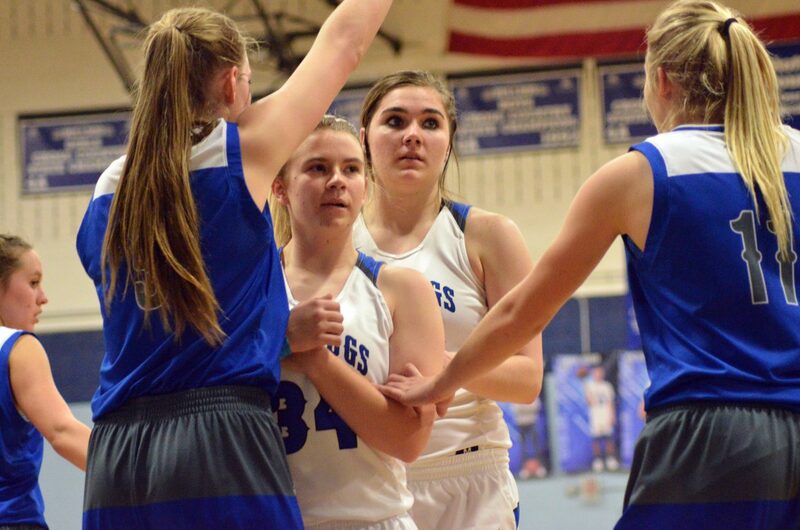 The 35-16 opening half gave way to a slower but solid third quarter as Brennise and Halle Hamilton kept after it in three-pointers with Quinn Pinnt and Jenna Timmer nailing buckets closer to the hoop in the 11-7 stretch. 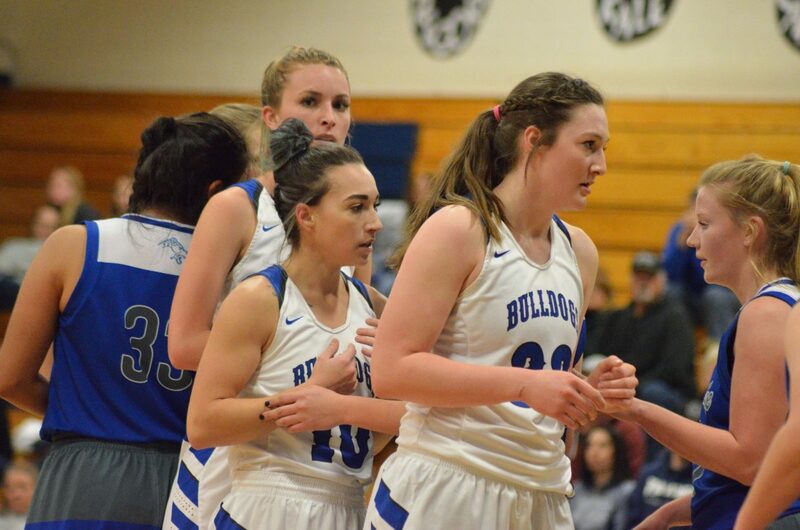 With the game just about won, Bulldog girls chewed the clock in the last minutes while limiting the Bruins to another 10 points. 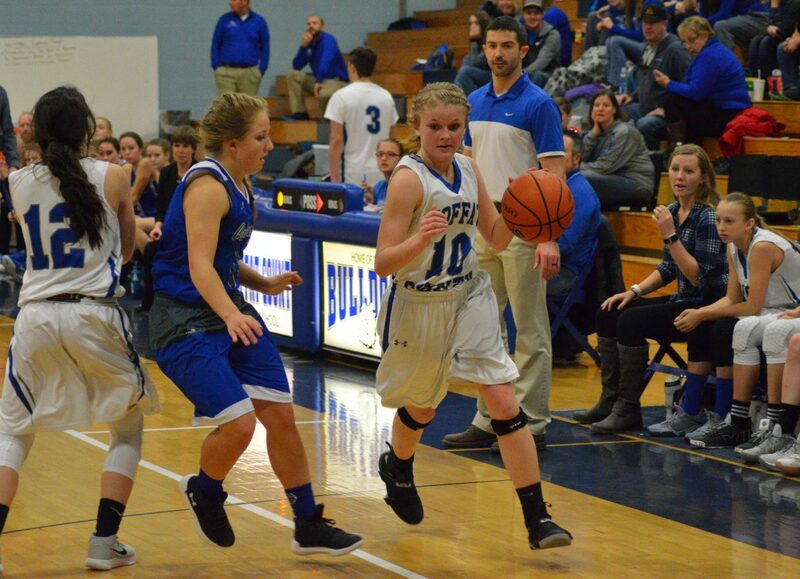 Hamilton led in scoring with 14 points and a trio of threes, with 11 for Brennise, and six for Tiffany Hildebrandt. “I don’t know if Cedaredge didn’t bring it or it’s just because we were working well together, but we were ready for them,” Hamilton said. 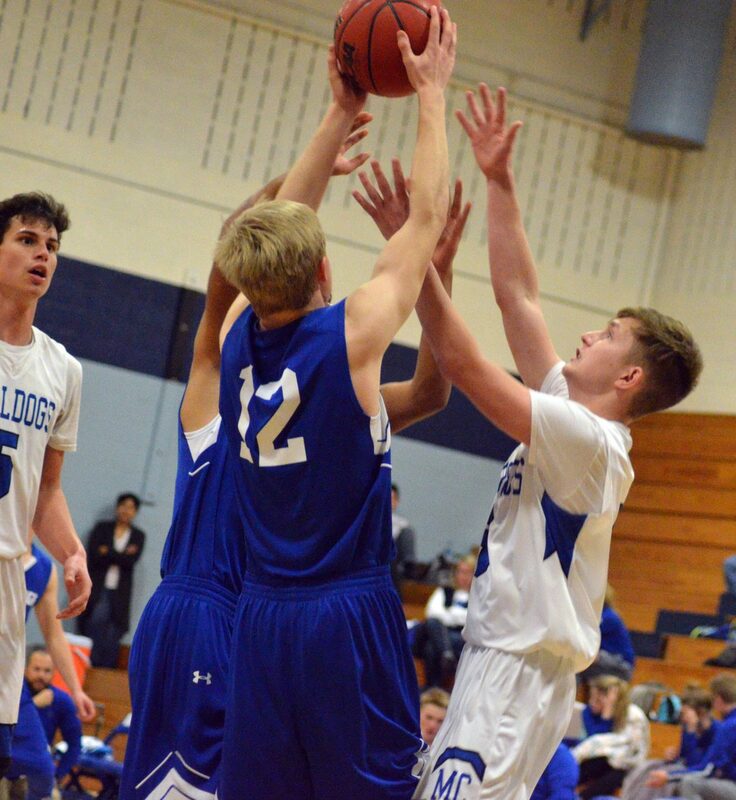 While both MCHS junior varsity teams fell in close games to the Bruins — girls JV in a 34-32 overtime heartbreaker and boys JV 50-46 — boys varsity took a page from the girls’ playbook and did them one better. 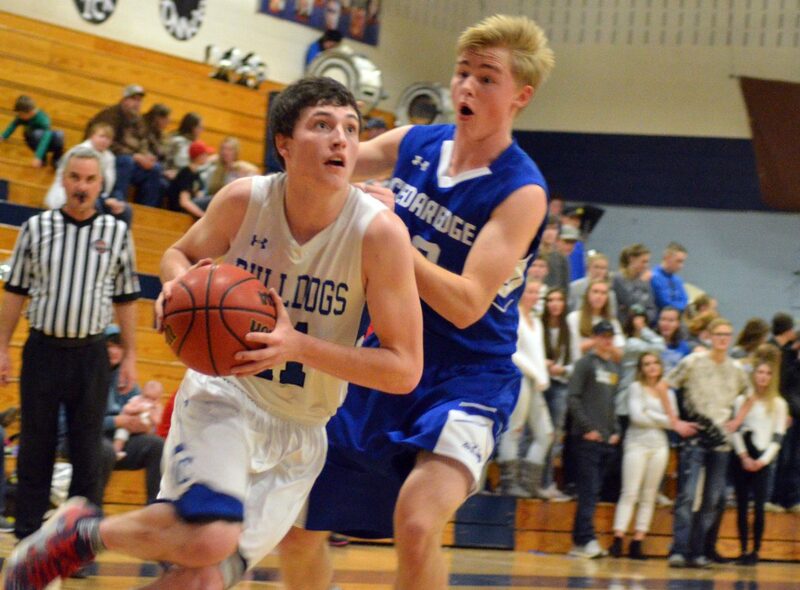 Between attacking the hoop from the get-go and shutting down the Cedaredge effort, Bulldog boys held a double-digit advantage with 12 points on the board before the Bruins finally responded after more than six minutes. 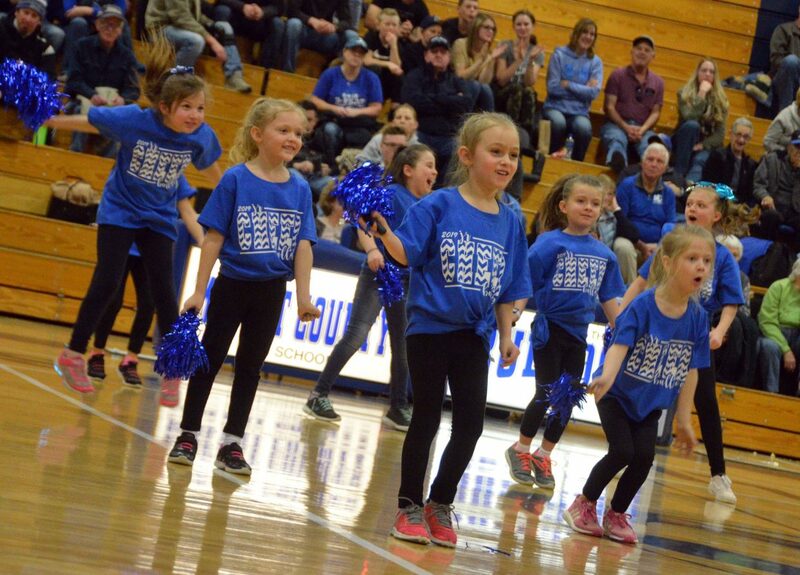 A 14-7 quarter became a 32-15 half, with a fully energized crowd all the more spirited thanks to the halftime entertainment by the Moffat County Junior Cheer Clinic, with 57 young kids joining the MCHS and Craig Middle School pep squads. 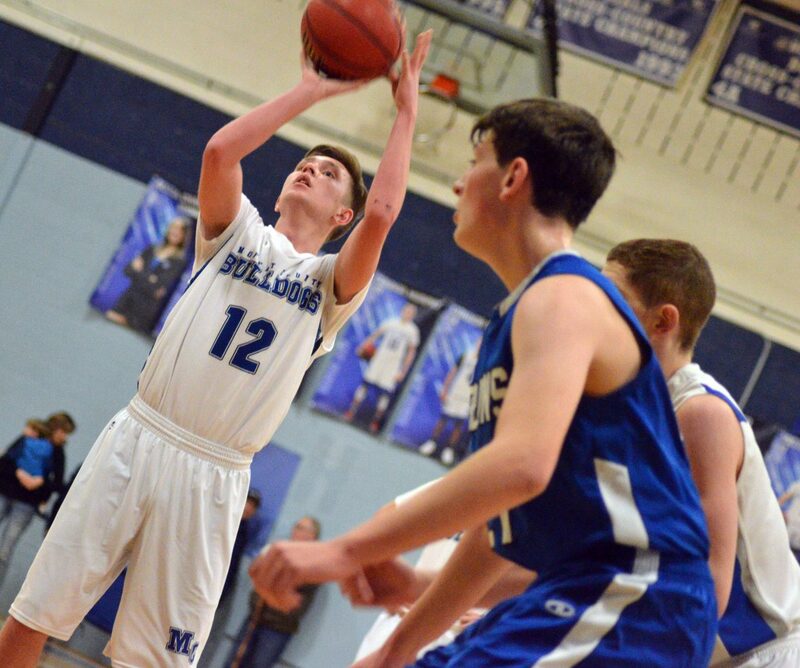 MoCo boys didn’t slow down in the slightest coming back from the locker room, renewing their resolve near the rim with layups and jumpers galore in another 18-point quarter. 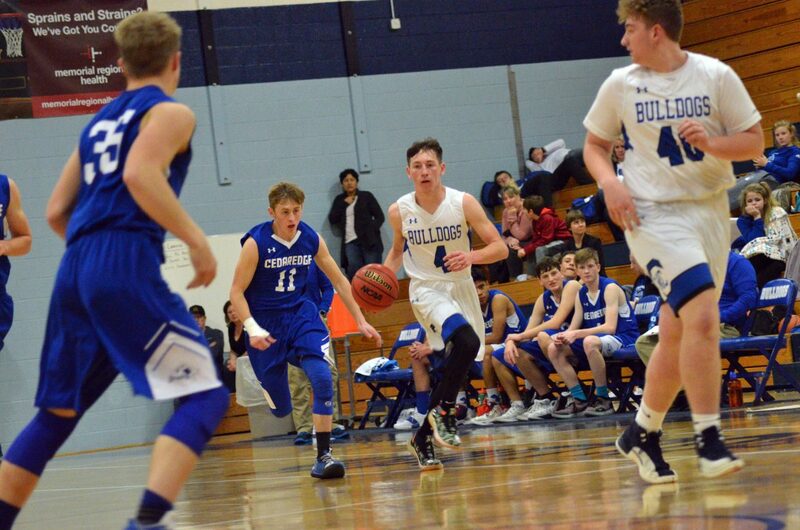 Like the girls, boys didn’t strain themselves coasting to the conclusion, though Jerod Chacon took advantage of a chance for some shooting practice to add a corner three and get his scoring total to 11 points, tied with Colby Beaver for the evening, followed by Landen Najera with 10. Connor Murphy mixed it up with one triple and layups for his seven points, though he credited the night’s success to the group effort. 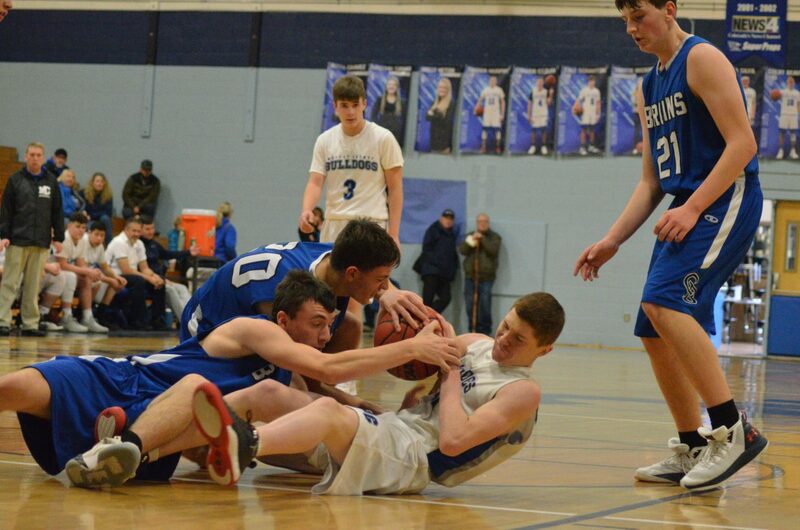 Connor Etzler concurred the crowd was a huge part of the win. 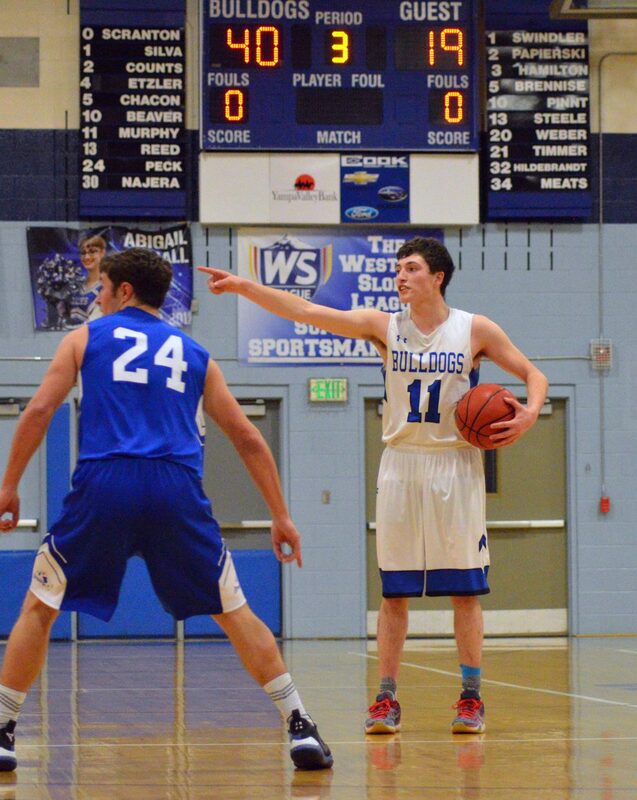 The W was one the boys varsity team has been striving toward for the past month. 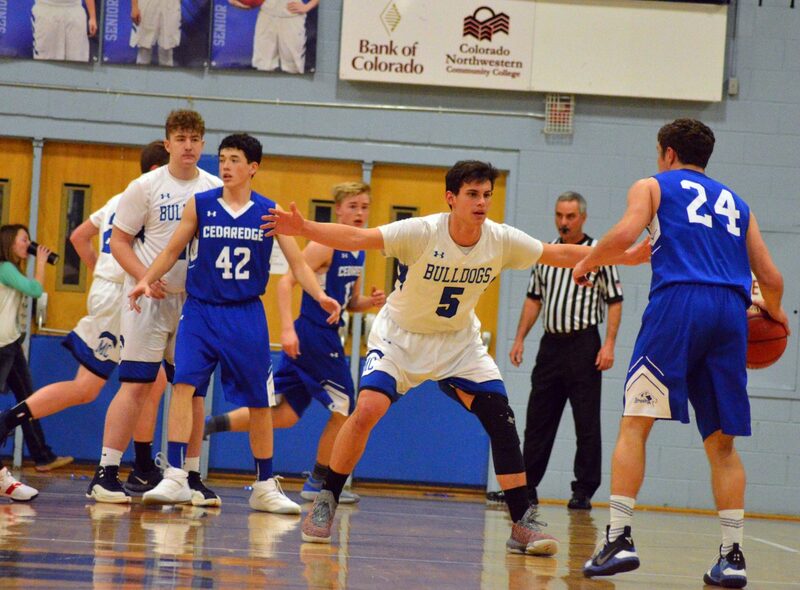 A win in December against Denver Christian during Glenwood Springs’ Demon Invitational was the last game Bulldogs recorded in the left column, feeling the effects of eight consecutive losses. 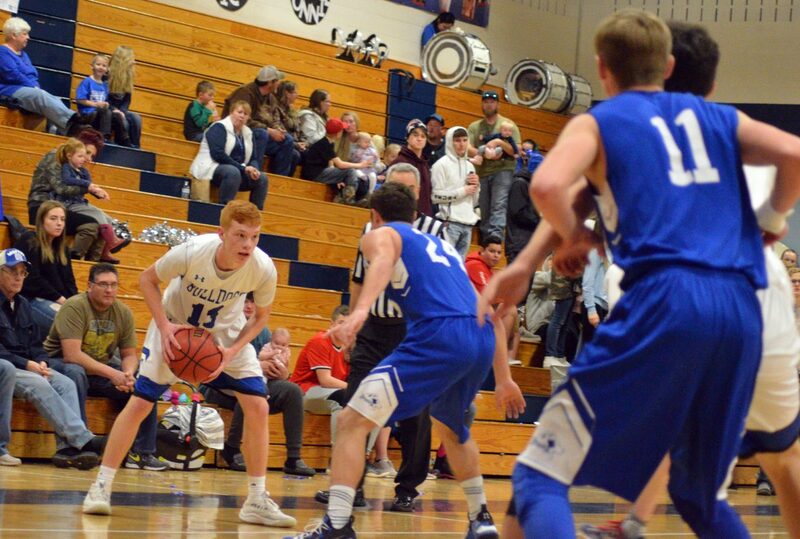 Now 3-10, MoCo boys have a conference victory under their belts, 1-3 in WSL play, which they will seek to build on moving along in the schedule, next hosting Basalt Jan. 26. 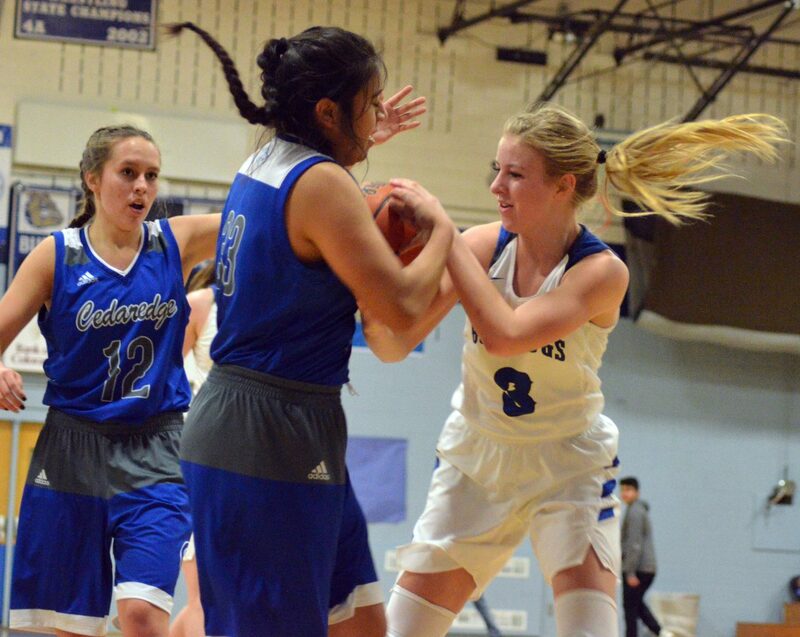 The Longhorns have had the roughest run in the league, 2-10 after a 67-48 Saturday loss to Gunnison. 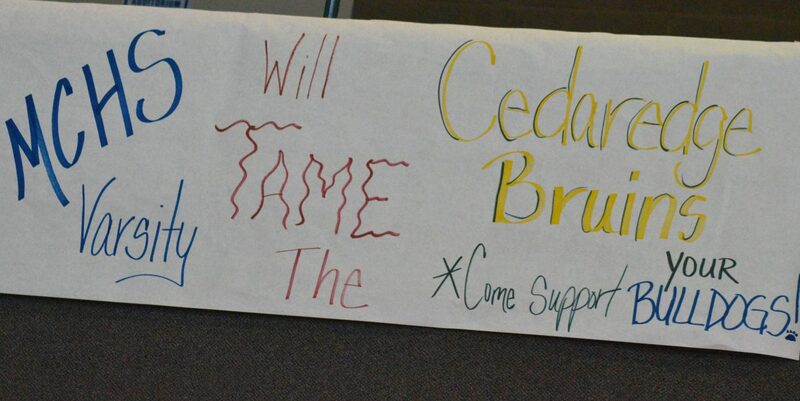 Before they come to Craig, they’ll face off with Cedaredge Friday. 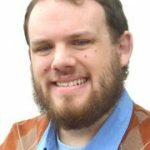 “You never know with this league, everything can be pretty inconsistent,” Murphy said, noting that after high rankings for much of the early season, WSL’s Coal Ridge has already fallen twice this month to league opponents. 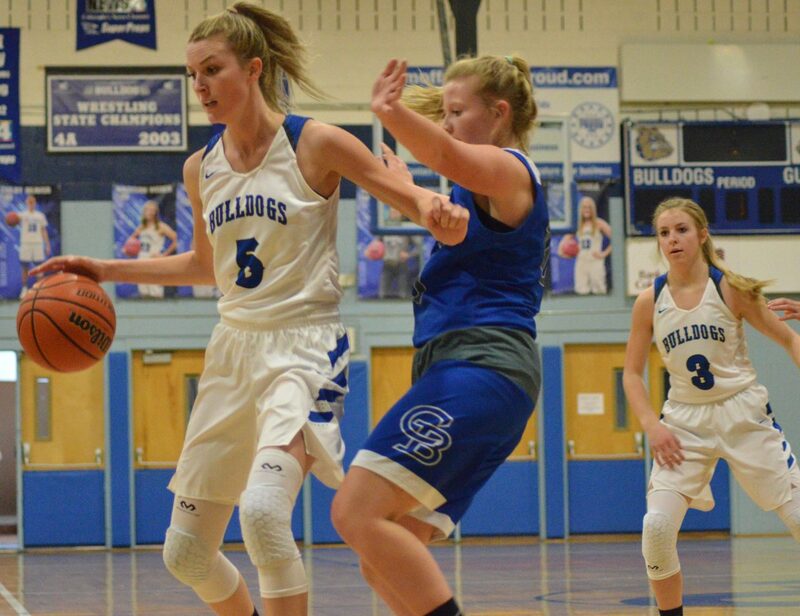 MCHS girls will see their RPI status rise considerably after their win, and at 4-0 in the conference, the 10-3 team remains one of the Western Slope’s greatest threats. 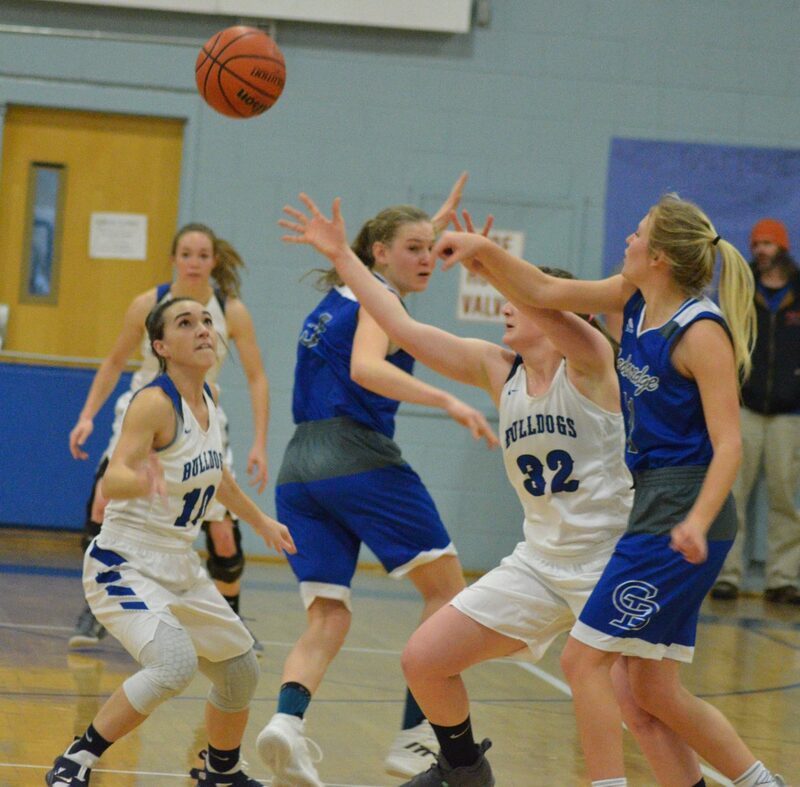 Basalt (1-11) will be the focus heading into the coming week of practice, but the bigger picture is Delta, which the Lady Dogs host Feb. 1. 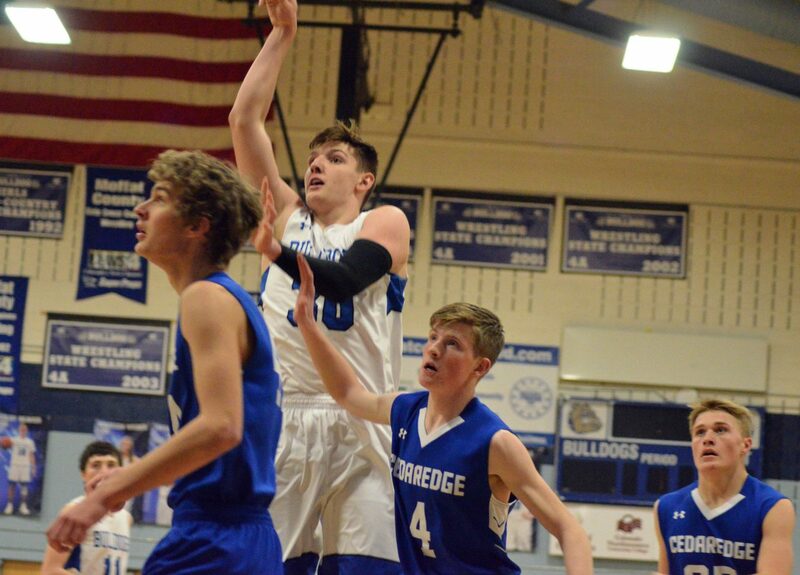 The Panthers moved to 10-1 with a Jan. 18 win against Coal Ridge, 52-49, putting them at the top of the RPI list. Still, athletes are confident moving forward. “I’m really impressed with our teamwork and how we’ve all come together lately,” Hamilton said.